How do you create a workable sales process, and what is the key to successful sales process management? Here are the basic steps to creating a precise sales process. A sales process is a precise series of steps that take a sale from lead through to the close. This definition might appear too obvious, but if everyone involved in sales process creation doesn’t understand and agree with its definition, there will likely be trouble further on. First, have someone interview your proven reps. Discover the common steps they take with a sale. You’ll find that there are common actions your successful salespeople always take. From there, you can begin to outline your basic sales process. Next, you should clearly identify the objectives of each step. What actions are taken by the seller in each stage? What then should be the resulting actions taken by the buyer? Always bear in mind that the actions of each stage should progressively increase the likelihood of a purchase, and move a prospect nearer to the close. Once you have defined each stage of your sales process, you should define and institute precise metrics that measure each stage’s actions. The goal is to measure those actions so that they can always be monitored in real time­­and so that support or corrective actions can be provided as needed. Sales analytics are key to the realization of its purpose. With your sales process fully defined, and metrics in please to measure its progress, it is now time for the testing phase. You won’t know the value of your sales process until it is proven in the field. Part of this testing should be the provision of sales rep feedback. The process should then be defined as needed to streamline it and make it more usable. Of course, everyone in the company needs to follow your sales process, once it has been developed and put into use. 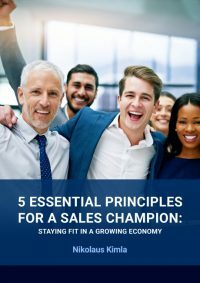 But markets change, products evolve, and new competitors come on the scene – ­­and, therefore, a sales process should never be so rigid that it cannot be amended or adjusted. A sales process should always be flexible so that it can be changed when necessary. In theory, you really shouldn’t choose a CRM application until after you have evolved your sales process and put it to use. 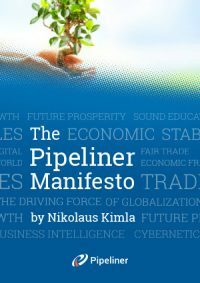 That way you can evaluate each contender with regard to its adaptability to your pipeline, its analytics, and its usability by salespeople and other users in your company. But theory aside, most companies will already have a CRM application. The attempt should then be made to adapt it to mirror your sales process within your CRM, as it has now been created. If this cannot be done easily and quickly, however, don’t waste time and money trying to fix something that is permanently broken. 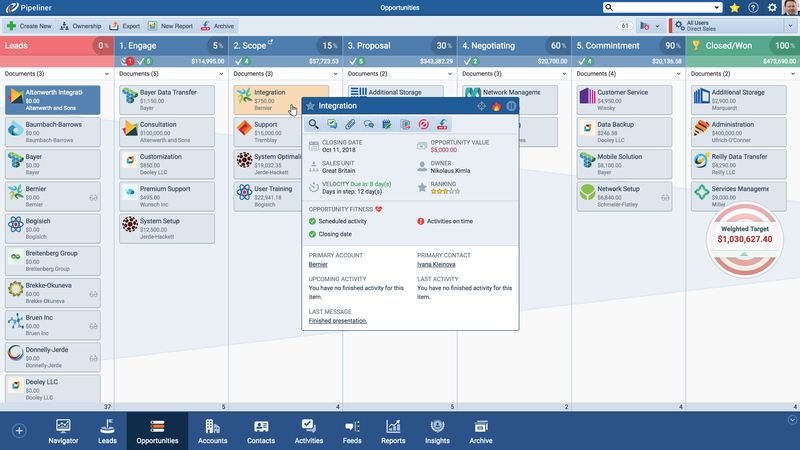 Go ahead and procure a new CRM solution. 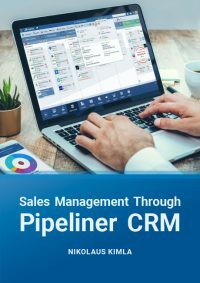 Yes, it will take some additional time and money—but in the long run, the company will be running far more smoothly and the new CRM application will rapidly pay for itself. Take the time to fully create your sales process. It puts everyone on the same page and makes for a skillfully functioning sales force operating totally as a team.